The Pennsylvania Emergency Management Agency (PEMA), a statewide agency tasked with coordinating prevention, response and recovery activities related to natural and manmade emergencies in the Commonwealth of Pennsylvania, wanted to introduce new technology and replace aging systems in its legacy Emergency Operations Center (EOC). MCP is extremely proud to have played a role in helping PEMA construct and implement an innovative and modern EOC that dramatically improves their administrative and operational capabilities, both day-to-day and during emergencies. The new facility opened in July 2016 – and was completed under budget, despite the fact that the budget was established nearly a full decade before construction was completed. Their original facility, located in a suburb near the state capital of Harrisburg, was not originally designed to be a coordination center during large, multijurisdictional events. Not only did this hamper the agency’s operations, it also had space constraints that prevented PEMA from introducing new technology and scaling its operations to meet the needs of today’s emergency response environment. Construction for the EOC kicked-off in 2010, and PA’s Department of General Services and PEMA collaborated with a partnership of architectural, design and professional services firms to help plan and design an EOC that would not only meet their present needs, but work for many years into the future as emergency response technology continues to advance and population growth occurs. Plan, design and project manage the implementation of the Internet Protocol (IP)-based, broadband-enabled network infrastructure, as well as all of the various communications systems within the facility, including some building IT and networks systems that were not communications-orientated. Coordinate technology, vendors and schedules with the master construction schedule. Integrate the new technology into the building design specifications while maintaining operational integrity, as well as migrating and operationalizing technology from the former site to the new EOC. 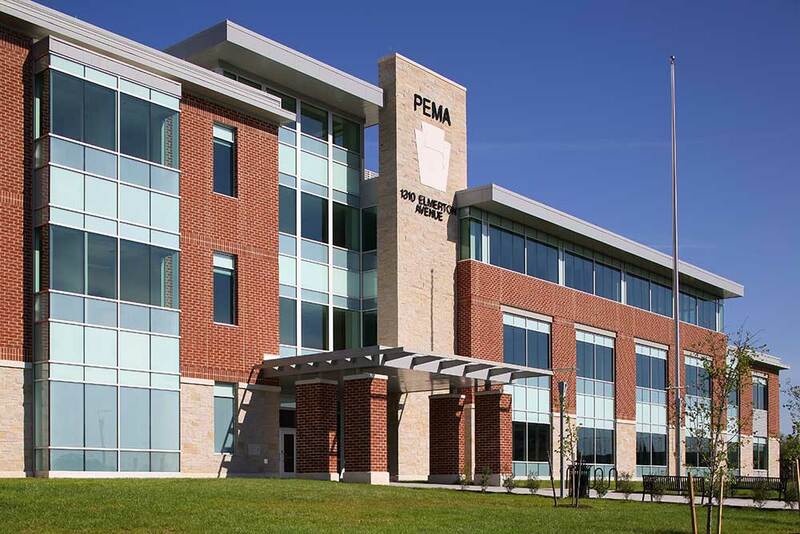 Six years later in July 2016, PEMA opened its new, state-of-the-art 132,448 square-foot headquarters facility. MCP provided specialized network and communications technology expertise that simplified the network security approach and saved implementation costs between 30 and 40 percent. A facility planned and designed to meet PEMA’s unique operational goals. Frequent communications rhythms to ensure alignment over six years and three administrative changes. A facility prepared to migrate and lessen the impact of risk. Fully-redundant and resilient systems and subsystems. Minimal change orders required during the construction phase, helping the facility to go operational under budget. “This facility greatly enhances PEMA’s situational awareness, continuity of operations, emergency response and interoperability. It’s ideal for multi-jurisdictional responses when a lot of people descend on the Coordinations Center,” commented Richard Flinn, Jr., director, PEMA.